Inspired: An Improv Blog Impride Workshop! 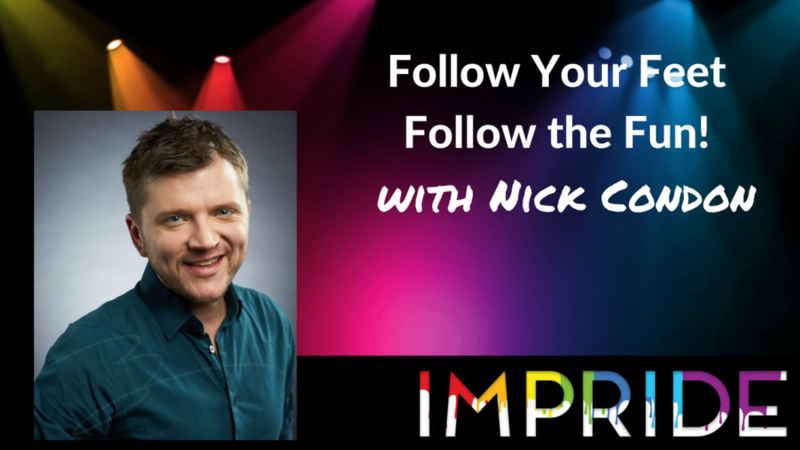 Follow Your Feet/Follow the Fun with Nick Condon! Impride Workshop! Follow Your Feet/Follow the Fun with Nick Condon! Overthinking is an improviser’s worst enemy. Once you get in your head, sometimes it feels like there’s no getting out of it. But Nick Condon has it figured out! With his workshop, “Follow Your Feet/Follow the Fun,” Nick will help you get on your toes, into your body, and out of your head. Discover the tools to trust yourself, your ensemble, and your scene partner, moment by moment. Learn to stop worrying about where the scene is going and simply be in it. If your feet are moving already, you better follow through and reserve your spot! Nick’s workshop will take place on Saturday, July 7th at 1:30pm.